The black hull had fading and halo of the old boat name. The hull also suffered from multiple fine scratches and fender rash. 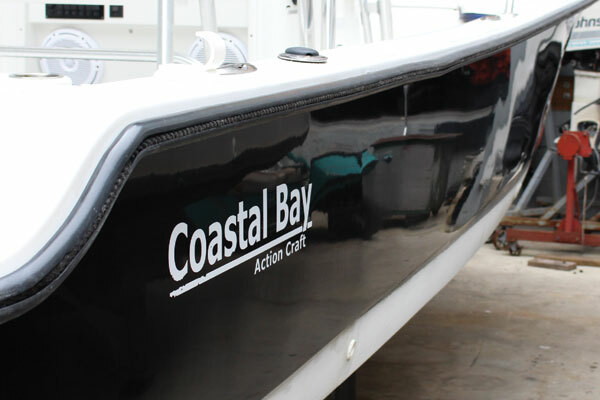 In addition, the gel coat throughout the hull and topsides were chalky and sun damaged. Leigh had tried compounding and waxing with several products and was not able to remove the white haze on the hull, nor could he get a consistent shine or color. The gel coat on the hull and top sides had also become very porous. There were clear stains from dirt, rust, and fish blood all through out the deck. The staining had become so bad the owner gave up on trying to keep the boat clean. 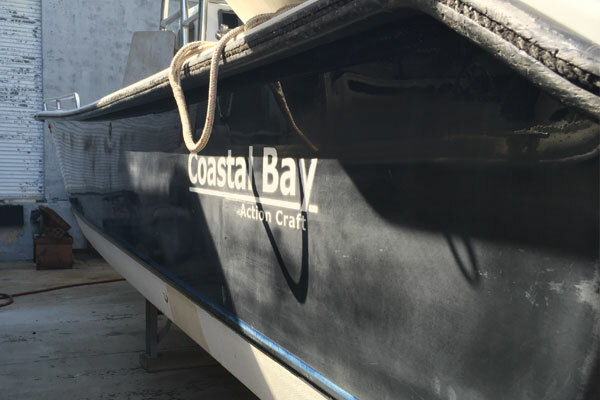 The side of the Coastal Bay shows significant wear to the gelcoat. Before Glidecoat restoration, you can see the prominent fading and scratches. 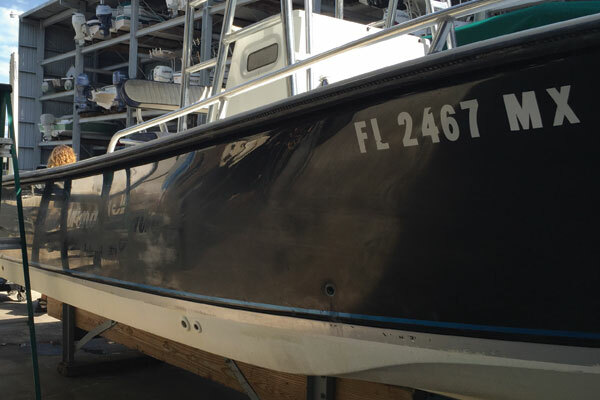 The Glidecoat recondition process started with an acid wash of the entire boat to remove all the stains and dirt. Once completed the boat was then taken through a four step compound and polishing process that brought the gel coat back to a smooth consistent surface. The Glidecoat 9h nano coating is a four stage process completed by our certified applicators in a controlled environment. Two coats of Glidecoat 9h nano coating were applied to the gel coat and hull, restoring the color and shine. The overall appearance had been changed, but also the functionality of the boat. Now all the gel coat had become hydrophobic and none porous, helping to reduce ongoing maintenance. The aluminum tower had a restored shine and was now protected against pitting and tarnishing. 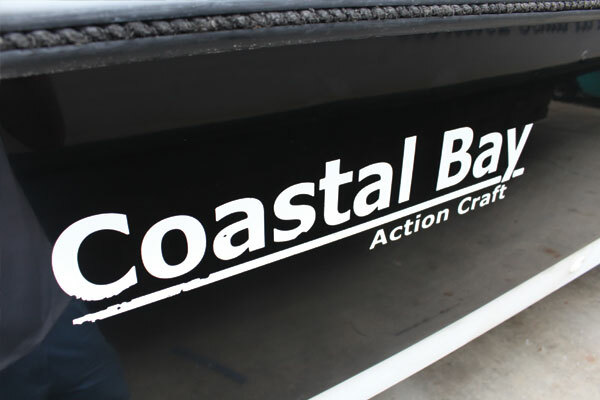 The Coastal Bay Action Craft after Glidecoat Restoration. The appearance has dramatically changed. Close-up shot of the restored logo. Glidecoat Top Coating needs to be applied by a Professional Applicator. To get a quote please contact us.